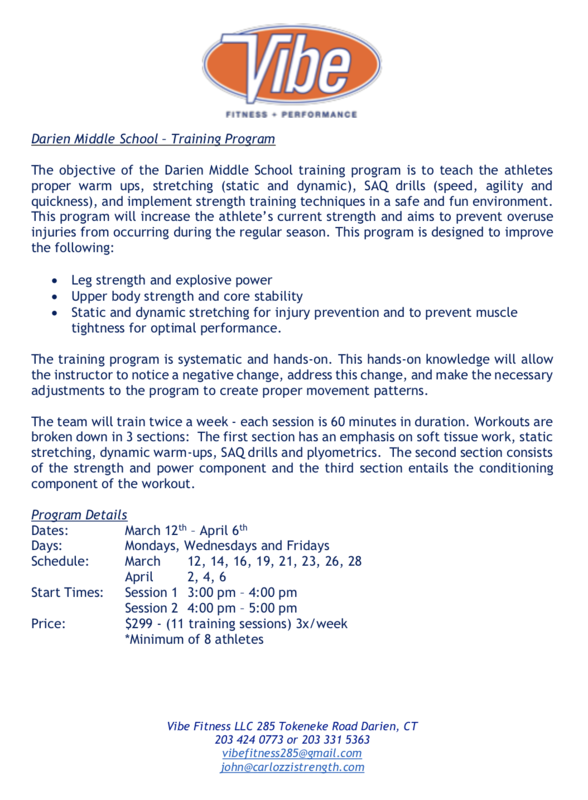 The DJFL would like the 7th and 8th grade football players parents to be aware of this optional training program for the Middle School football players. The success of winning three consecutive Class LL High School State Football championships is driven by a commitment to strength training which starts in Middle School. John Carlozzi's strength training program is excellent and the earlier the players can commit to it the better for the high school program and the development of the players. If you cannot see the information below, please CLICK HERE to view it on a web page.